Not far from the bustling Hollywood Road – on Gough Street, inside the concept store Woaw, you can find Elephant Grounds coffee. 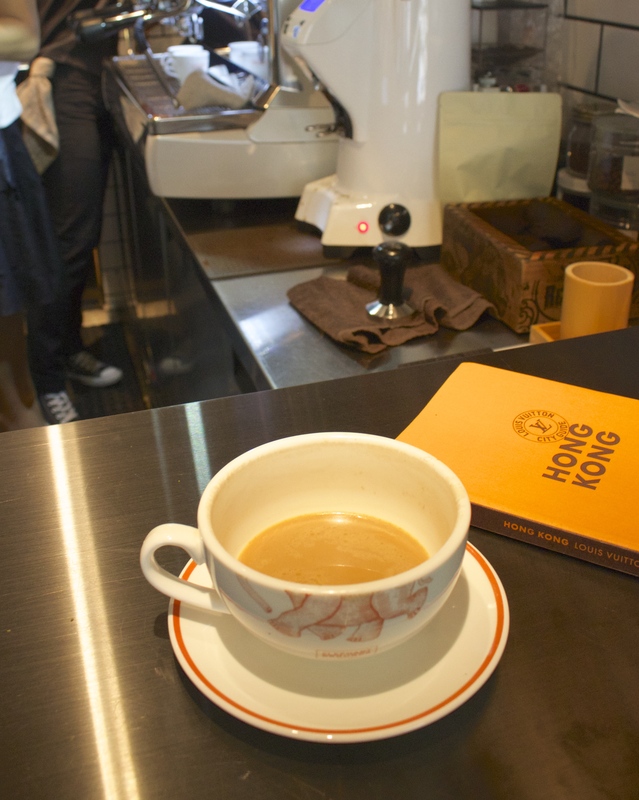 It is one of the two places in Hong-Kong to propose « Bulletproof coffee ». It was the first time i saw it on a menu, so I was curious to try. 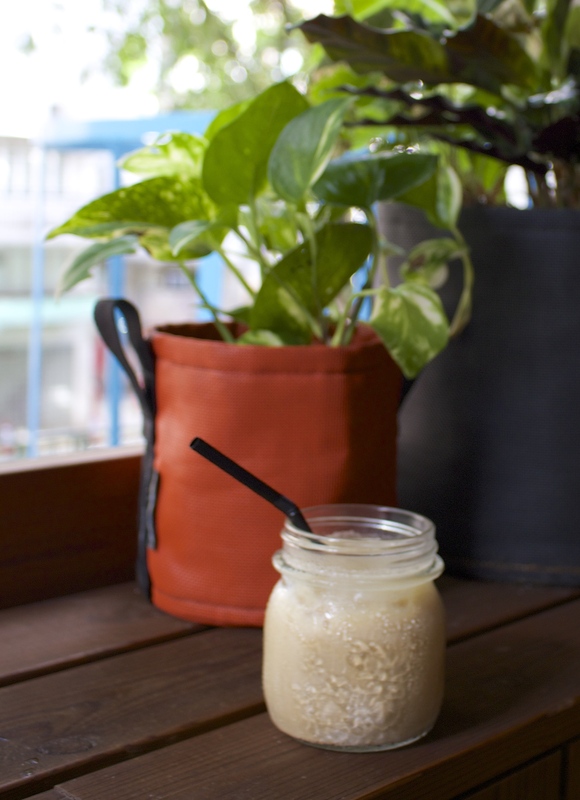 What is « Bulletproof Coffee »? The barista explained to us that it was coffee + fat (Unsalted Butter + MCT oil). It is supposed to be very nutritious and healthy. When I drank it, it was like a latte but more heavier. I felt really full, and had no dinner after. You can have your drink with « Homie’s Cookies ». And only on Week-end, they propose limited edition Ice Cream Cookies. You can check on their facebook page for the flavor of the week. I was lucky to have the Chocolate Mint Pop rocks! 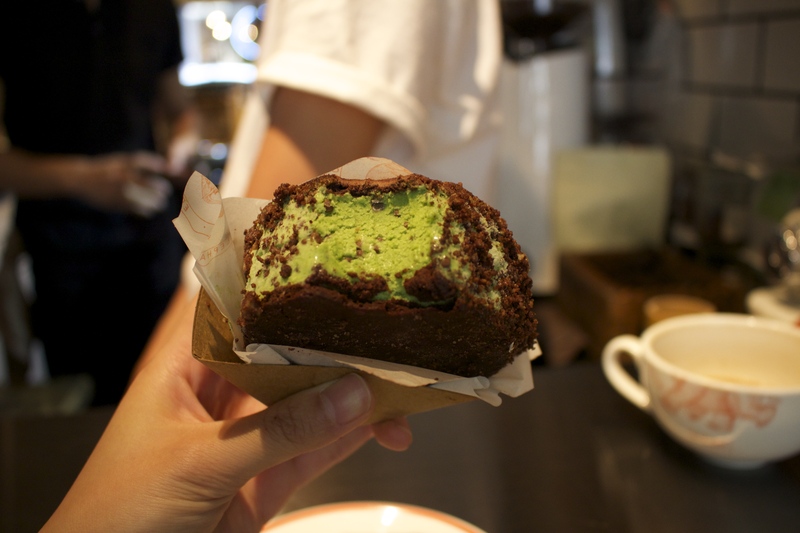 If you are in the area of Sheung Wan, you should definitely visit this little gem. There is also a small terrass where you can sip your coffee when it is not too hot outside. Vous lisez actuellement Elephant Grounds – Hong Kong à Sugarsheet.